When you think of going on a cruise, who do you imagine is with you? You might picture yourself onboard an elegant ship with a spouse, a family member, or a close friend or two. While we certainly don’t blame you for wanting to keep your once-in-a-lifetime experience somewhat intimate, a cruise is a great chance to explore the world with a larger group. Here are some of the many advantages to taking a cruise through a group program. What makes alumni reunions, college football games, and other group events so special? It’s the people you’re with. You are experiencing something with people who share a connection. Whether you’re traveling with people who attended the same school or work at the same company, a group cruise allows you to experience exceptional moments with people who are closely connected to you. While you may know a few other people who are going on the same cruise ahead of time, one of the joys of group travel is seeing all the members of your group on the ship together. Imagine bumping into someone you went to school with while you’re cruising on the other side of the world. But it’s not just about the people you already know. It’s about the people you meet for the first time. People naturally get excited when they meet someone who attended the same university. You instantly have something that ties you together. You were on the same campus, you cheered for the same basketball team, you attended some of the same courses with the same professors. And now you’re on the same cruise ship seeing the world in a whole new way. Group travel brings people together and creates lifetime bonds. People who meet through group travel often become lifelong friends. Depending on which cruise you choose, you could be on board with over a thousand other guests. This can be a bit overwhelming when you and your travel partner first arrive. 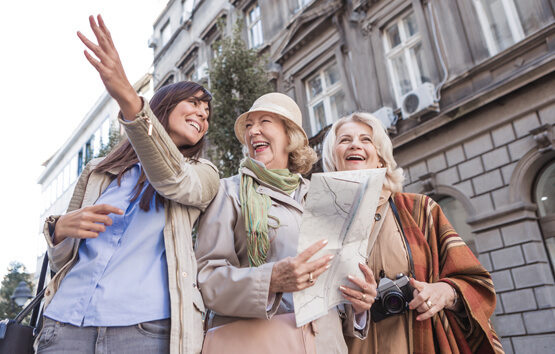 While you might make some friends during the trip, choosing a group program will make you feel welcome as soon as you board. It’s an instant icebreaker and allows you to be part of a fun and exciting group from the get-go. If everyone else is traveling with a group and you’re not, you might find it hard to connect with others and feel a little lonely after a while. Don’t worry. You’ll still have plenty of alone time. Traveling with a group doesn’t mean you’re going to be constantly surrounded by a bunch of people who dictate your every move. You’ll have plenty of opportunities to choose your own adventures. Traveling with an alumni association or corporate group isn’t a rigid experience where you have to follow a strict schedule. You’re ultimately in charge of the activities you do as well as what (and when) you eat or drink. A cruise gives you a lot of freedom. You don’t have to be anywhere at a certain time. If you want to lounge around at the spa alone, there’s no group commitment preventing you from doing that. If you’re more interested in spending some quiet and romantic time with a spouse, you don’t have to worry about a group interrupting you. Cruise ships are huge and loaded with activities, so there’s always something for everyone whether you want to be with others or by yourself. 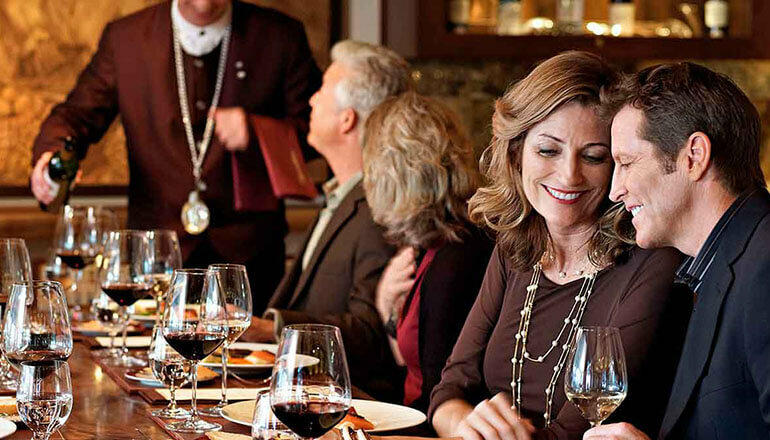 Alumni associations and corporate groups often give you exclusive benefits on your cruise. This could take on a lot of forms including special dinners, group parties, dedicated staff for your group, priority on shore excursions, trip discounts, and much more. These are just some of the many possible benefits you can experience with a group program. Remember, in order to take advantage of these benefits, you must book through your group’s designated program and not directly through the cruise line! Are you ready to book your cruise? Find your program today.